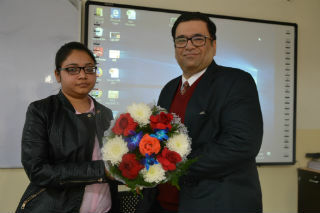 JIMS Rohini organised Guest Session on Can we avoid sales in professional life? 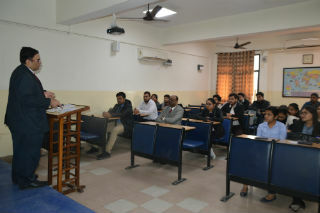 PGDM International Business department organised a Guest Session on "Can we avoid sales in professional life?" by Mr Vivek Nanda, National Manager-Direct Sales, Sharp Business India on 8th December 2018. He initiated the discussion with the basics of sales and explained the concepts of direct sales.He emphasized the importance of Sales in a company and how companies now a days are shifting from traditional sales to the modern sales where everything is shifted to digital platforms. He discussed practical and real time examples for much clarity of concept of direct sales. The session was very interactive and highly valuable for the students. The lecture proved to be bridge between theory and practice.